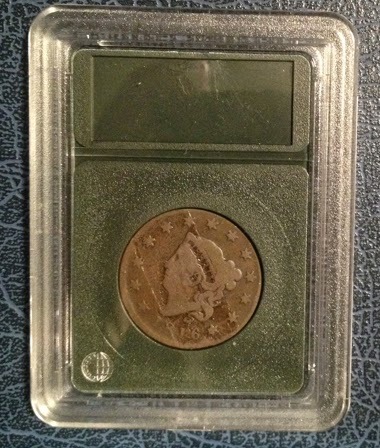 Most of my collection is in certified slabs, but I have a few coins in flips. I saw these Coin World Slab Holders and thought I would try to get everything into the same size holder. As you can see, the concept is simple: put the coin into the inner holder, add a label if you wish, and then snap the plastic case around it. Done. Well, not so fast. First, obviously these come in different sizes. If all you will be using these for is standard U.S. coins, picking what you need is easy. If it is tokens and medals you are slabbing, you need to measure carefully to pick what you need. 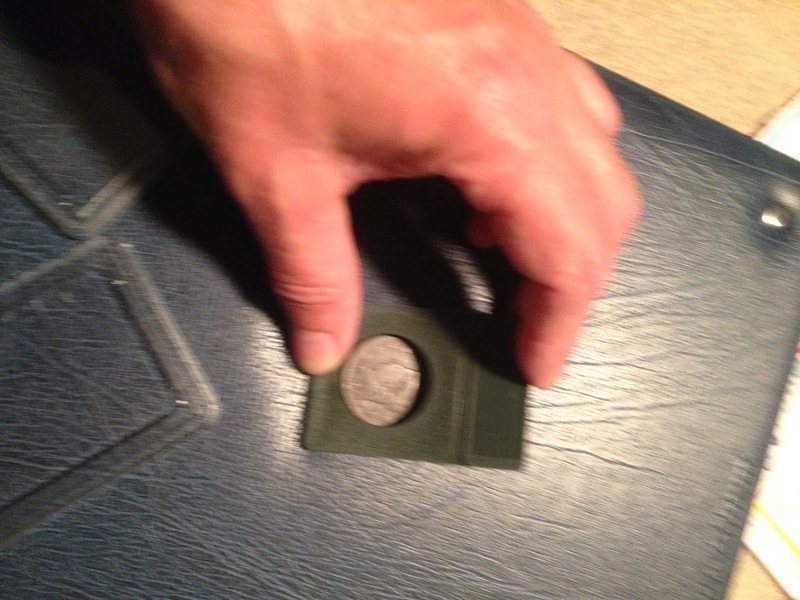 Second, there's a bit of a trick to getting the coins into the inserts. You'll find some instructions here: http://www.amosadvantage.com/scottonline/Premier_cwch.asp which explain how to bend the insert and wrap it around the coin. Don't overdo the bend, though: if you bend too much, the insert will tend to stay bent and that will interfere with closing the case. It's also critical to line up the insert properly before trying to close the case. As you can see in the photos, each case has a plastic ridge that matches grooves on the insert. If those don't line up, the case won't close securely. You'll notice that they do sell labels to fit these inserts. While putting labels inside certainly makes for a neater and more professional appearance, I have not been able to ascertain if these are acid free and therefore safe to be sealed up with coins. I'm not saying that they are not - I simply don't know. It is easy enough to find acid free labels, however. Here's the finished product (that scratch is on the coin, by the way). I like them. They are easy to use, the coin fits nicely for display. Raised borders prevent surface scratches. They stack nicely. Save and PVC free. Only downfall is that they don't really "snap" together. They kinda fit snugly and won't come apart when jostling them together and what not. UNTIL you drop them on a hard surface. My instance was a counter top. It flew apart. Luckily, the coin stayed put within the black foam. I'm sure these coin world things would fall apart also. I bought a few. They hold together pretty well. I have been testing these with different coins to see what fits other than United States coins. Maple leafs fit in the 38mm diameter holder.